One of the most popular rooms of any great beach house is undoubtedly the kitchen. Whether you’re starting off the morning with a good cup of coffee or finishing off the day with your favorite glass of wine, most activity tends to congregate in this important space. If your current kitchen seems dark and drab and in need of a little coastal rehab, consider giving it an upgrade with a few basic elements that will bring back that summer loving feeling. 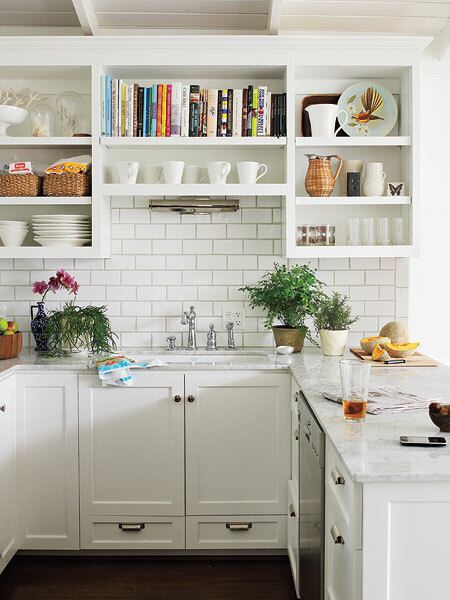 For a luxury look at a bargain price, white subway tile is a relatively inexpensive but great looking solution that can be used as a clean and contemporary backsplash. Subway tile got its name in the early 1900s from New York City’s first white-walled underground transit stations. The “easy-to-clean, tightly grouted 3x6s became a hit in American bathrooms and kitchens, and they remain popular today,” according to This Old House. For a more eclectic and colorful kitchen try colored glass subway tiles such as these in cool ocean turquoise from the Subway Tile Outlet. While it isn’t the cheapest option, you can never go wrong with the look of white Carrera marble countertops. Granted, there will be more work involved in caring for them, but they make a stunning statement in this sophisticated surfer kitchen when paired with a blue tile backplash. Photo courtesy of Coastal Living. 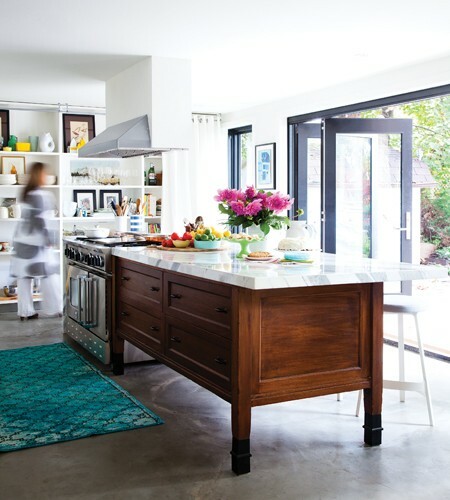 Cutting marble in a thick, butcher block-style and using it on a solid wood cabinet creates a one-of-a-kind island in Emily Norris’ beautiful Canadian lakeside home. Photo courtesy of House and Home magazine. 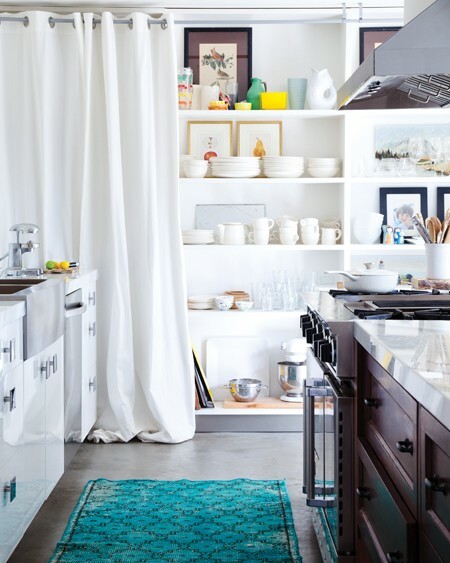 Open shelving makes it easy to grab and go in this casual kitchen. And it’s also a very affordable option when compared to custom cabinetry. Better yet, floor to ceiling shelves like these offer a generous storage option that can include not just the dishes but other household items. 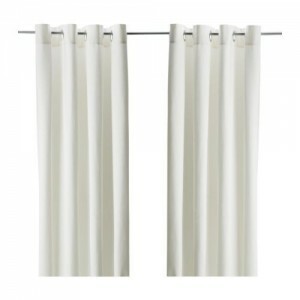 If you’re nervous about showing all your wares, consider a simple white curtain to cover up. 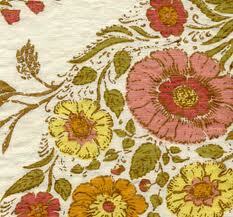 Photo courtesy of House and Home. 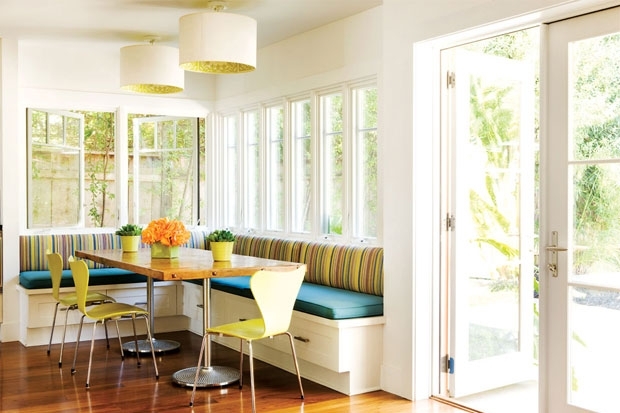 Colorful seating like this banquette gives a dine in kitchen a sunny South Beach vibe and provides plenty of room for the kids and their friends to enjoy eating in this Pacific Palisades home. Photo courtesy of California Home and Design. 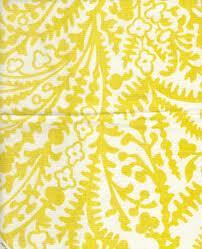 Brighten up some vintage chairs and bring some citrus into your white kitchen by reupholstering them in a cheery fabric like kashmir by Santa Barbara-based Raoul Textiles. Photo courtesy of Coastal Living. 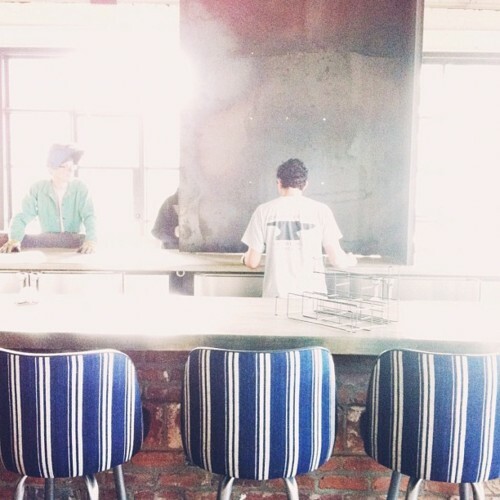 If you don’t have the room for a dining table in the kitchen but have a peninsula or island, liven it up with some interesting counter stools like these marine industrial striped ones from the Optimist in Atlanta. Vinyl makes clean up easy. 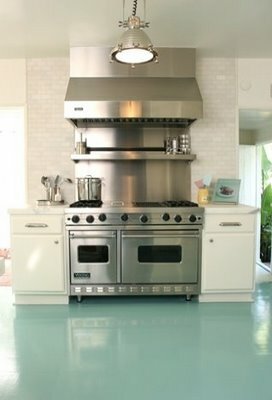 If you’re ready and willing to really take a risk, keep the kitchen neutral but paint the floors a vibrant color like aqua courtesy of lifestyle architect Windsor Smith. Just be sure to use the right kind of paint to give it that beautiful bright sheen. 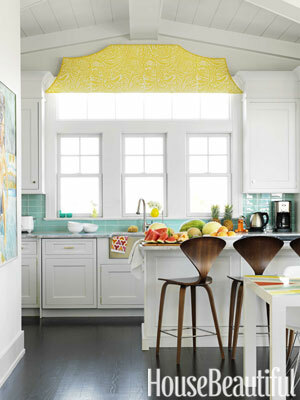 This surfer chic kitchen does it all right from its warm wood floors and bar stools to its cheery yellow upholstered valence and aqua backsplash. Photo courtesy of House Beautiful. 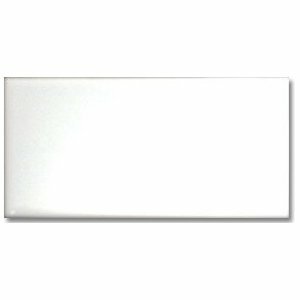 White 3 x 6 subway tile from Amazon. 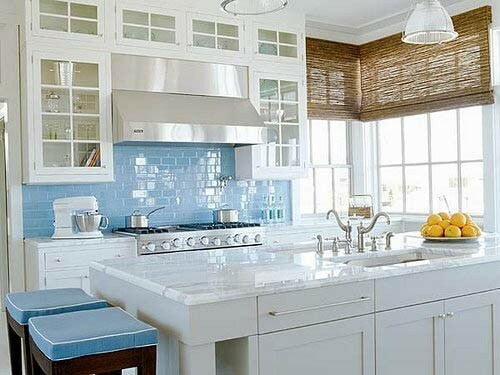 Ocean glass subway tile from Mineral Tiles. 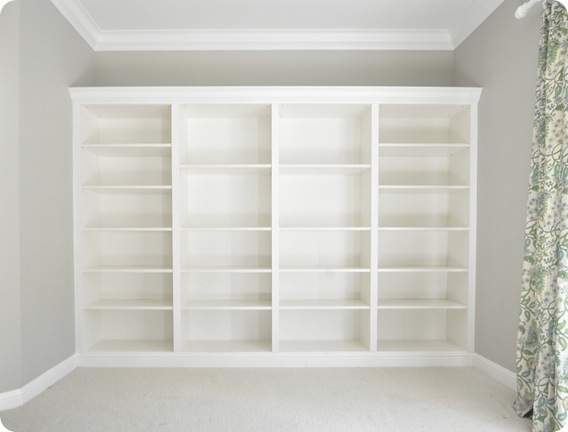 Billy bookshelves from Ikea. Photo courtesy of censationalgirl.com. 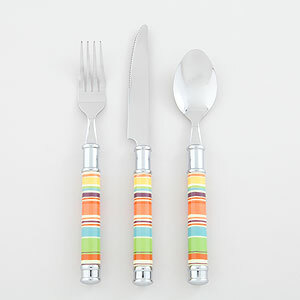 If a kitchen remodel isn’t in the current budget, maybe at least some new Bali flatware from World Market will suffice. But hurry because it’s on sale now. What’s cooking in your kitchen this summer?